As of April, 2017, there are 2 companies building receiver hitches for the 2017 Chevrolet Bolt. Curt Manufacturing, and Draw-tite. 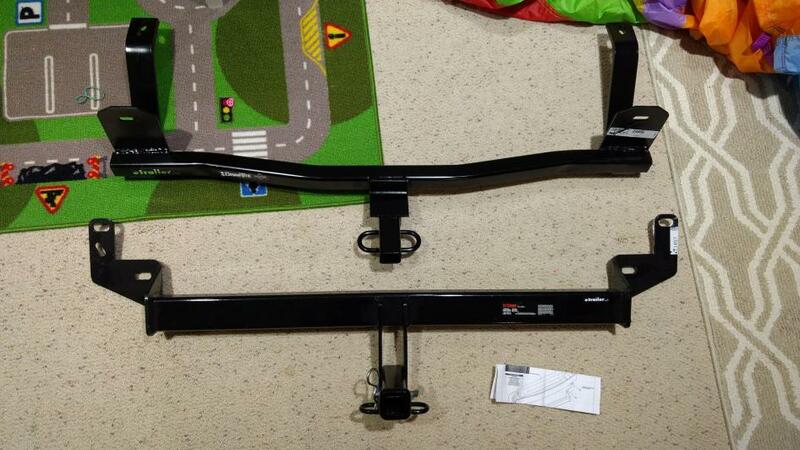 This photo from Bro1999 (via GM-volt.com) shows a comparison of the two hitches – the Curt hanging much farther down than the Draw-tite. This fully welded, corrosion-resistant Chevrolet Bolt EV trailer hitch receiver is perfect for your light-duty towing needs. Draw-Tite’s Tested Tough guarantee ensures that this hitch exceeds industry standards. The cross bar is hidden behind the Bolt EV’s rear bumper fascia. Rated for 2000 lb gross trailer weight and 200 lb tongue weight, the Bolt trailer hitch comes with a limited lifetime warranty. Bolt on, no welding required. Install time is rated at 20 minutes, although ETrailer.com lists it at 40 minutes. Minor trimming of the rear fascia is required. It appears to fit much closer to the Bolt EV’s rear bumper fascia than the Curt receiver does. Installation can be done with simple tools in approximately 20 minutes for a professional and 40 minutes for a novice. Installation requires trimming a small piece out of the lower rear bumper fascia. 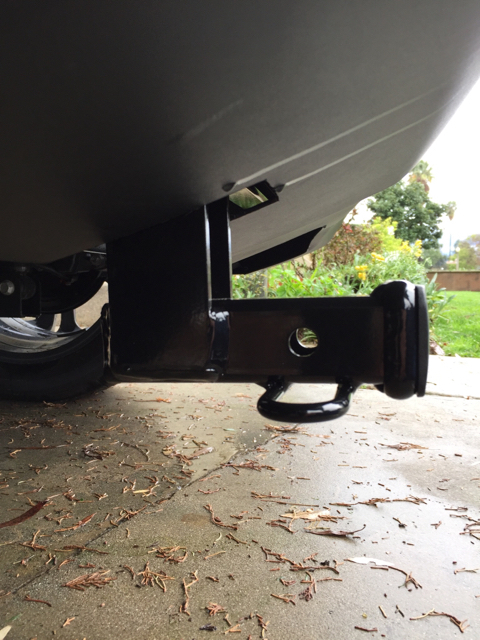 The hitch weighs 21 pounds, and uses the same bolts that hold the rear bumper beam onto the vehicle frame. 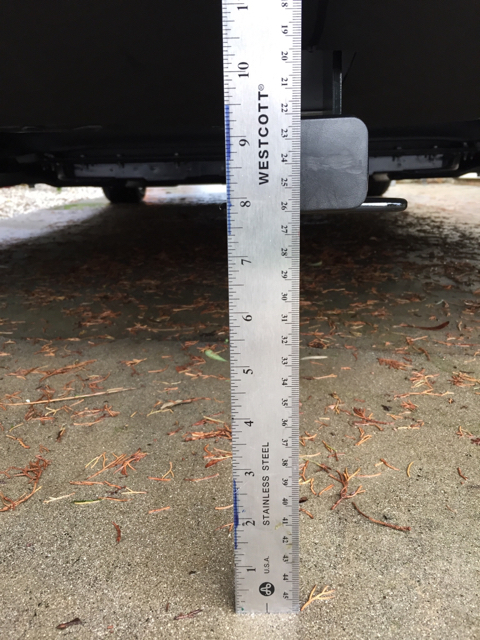 When installed on a 2017 Bolt EV, the hitch as approximately 7 3/4 inches from the ground. 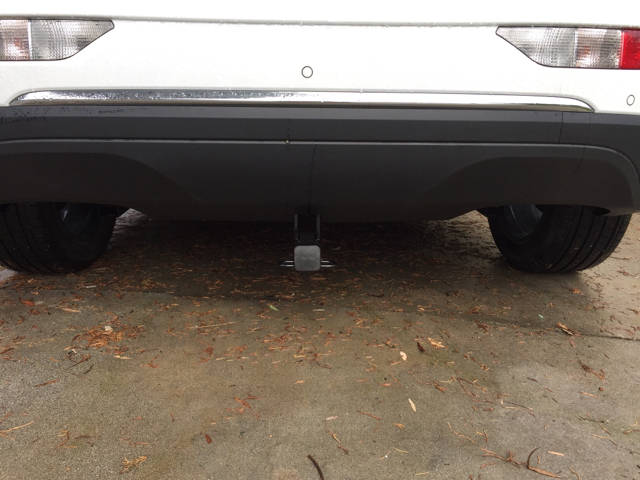 The Bolt EV hitch hangs down about 2 inches below the rear bumper valance, and it wouldn’t need to hang down that far. If Curt modifies the design and moves the receiver up it would allow for about 10 inches of ground clearance. USB port in the Chevy Bolt that is live all the time? why does this article relate to two different receivers, yet shows installation information for only one of them ? And that one which does show, appears to mount with only two bolts, certainly not a safe and secure design. The Curt receiver has 2 bolts on each side. The DrawTite also has 2 bolts on each side, the second being on the triangulated support arm that runs towards the front of the vehicle.